In ""Buried Indians"", Laurie Hovell McMillin presents the struggle of her hometown, Trempealeau, Wisconsin, to determine whether platform mounds atop Trempealeau Mountain constitute authentic Indian mounds. This dispute, as McMillin subtly demonstrates, reveals much about the attitude and interaction - past and present - between the white and Indian inhabitants of this Midwestern town. McMillin's account, rich in detail and sensitive to current political issues of American Indian interactions with the dominant European American culture, locates two opposing views: one that denies a Native American presence outright and one that asserts its long history and ruthless destruction. 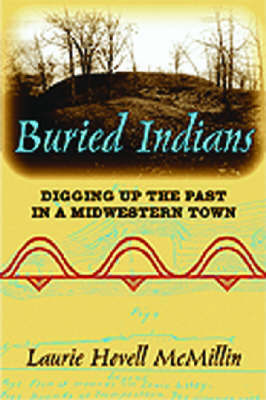 The highly reflective oral histories McMillin includes turn ""Buried Indians"" into an accessible, readable portrait of a uniquely American culture clash and a dramatic narrative grounded in people's genuine perceptions of what the platform mounds mean.